Because I believe God has called me, at least to some degree, to be a mission strategist, I have pondered the relevance of intercessory prayer and worship and the fulfilling a particular ministry mandate – any mandate. Specifically, at Every Home for Christ our mandate is to participate with others in helping fulfill the Great Commission by seeing a presentation of the Gospel taken to every home in the entire world. Most often two messages are given to most homes in a targeted area – one for adults and one for children. It is estimated that as many as 2.7 billion people in the world may never have heard the name of Jesus even once, or, at best, have never received a clear presentation of the Gospel. What would it take for our ministry to reach all of these people (living in some 500 to 600 million homes) in the space of a single decade? As our global leadership team took a strategic look at this ambitious goal, we were repeatedly challenged by what seemed to be insurmountable obstacles. Consider, for example, the more than 100 million Muslim homes (500 million people) in the Arab Middle East, where restrictions seemingly stopped us dead in our tracks. This could have been cause to give up, were it not for similar circumstances faced in Soviet Russia prior to the 1990s. In that part of the world, things changed almost overnight, as I have described earlier. EHC has now visited more than 40 million households in Russia and the form Soviet Union, now known as the C.I.S. (Commonwealth of Independent States). Besides government restrictions, there were other formidable obstacles as well. The cost of fulfilling our total mandate was daunting – approaching a billion dollars. We knew we could not do it alone, and we also realised that, although the Body of Christ already easily has the resources needed to accomplish the mission, much of what is presently being done is uncoordinated, often unnecessarily duplicated and frequently overtly sectarian. So, we knew we had our work cut out for us. Obviously, we could not do it all, but we could do our part. Further, if all the critical parts came together in Christ, then all of us could, indeed, do it all! In the midst of drafting our long-range plan, I was particularly encouraged by a promise from Isaiah that fell into one day’s Bible reading assignment. I read: “I have a plan for the whole earth, for my mighty power reaches throughout the world. The Lord Almighty has spoken-who can change his plans? When his hand moves, who can stop him? (Isa. 14:26-27, NLT) God, indeed, has a plan, and it is a plan for the whole earth. We didn’t have to come up with our own plan; we just had to tap into God’s. 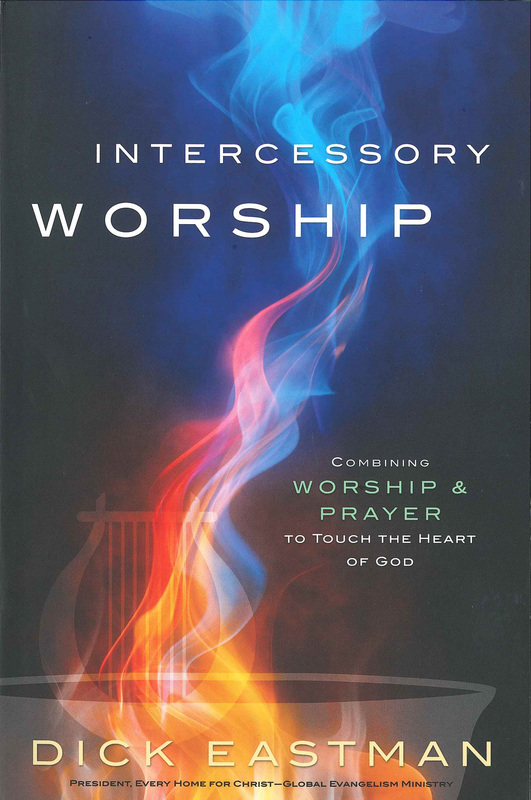 It quickly became obvious to me that the restoration of intercessory prayer and worship was central to that plan. Of course, I readily realised that something of an unprecedented unity and spirit of cooperation would have to sweep across all spectrums of Christ’s Body. Still, I wondered, could intercessory prayer and worship somehow help make all this happen?